Happy holidays, Macworld Insiders! 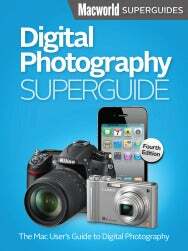 As thanks for your continued support, we’d like to offer you a gift: the latest edition of our Digital Photography Superguide. It’s hard to get through a holiday party without being the subject of a photograph—or having to take one yourself. With our Digital Photography Superguide, you may not be able to get out of this year’s family portrait, but you can at least make sure it will come out looking nice. 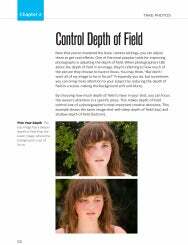 In the fourth edition of our popular photography book, you’ll find the latest advice on buying a new camera; getting great shots; managing and editing your growing photo library with desktop applications like iPhoto ’11, Aperture, and Photoshop Elements; and much more. We’ve even included a special section on iPhone photography for budding iPhoneographers out there. The information has been updated and expanded to cover all the latest developments in digital photography, and we’ve organized it in this easy-to-follow guide for beginners and pros alike. In this 196-page book, you’ll learn about the entire photography process: We’ll walk you through purchasing the digital camera that’s right for you; shooting in difficult situations; importing photos quickly and safely; managing your image collection by adding valuable information like names, locations, and ratings; and sharing your photographs with the world by taking advantage of both print products and online services. We’ll also explain how to protect your photos from hard-drive disasters. Download the book by clicking on this link. Thanks again for being a Macworld Insider, and as always, please don't share your free book with others—this is our special gift for loyal subscribers such as you. And if you enjoy this book, be sure to check out our other Superguides, available on the iBookstore or via our website. Insiders can also get $3 off orders on our Web store with the coupon code MWREADER6.